Their first time at the beach. No point holding ourselves back. Anyway, this jumping photo has been a trademark of this programme since 2013. My students have spent most of their lives in the middle of nowhere. A majority have never been to a beach so you can imagine how much they lack exposure to the outside world. One reason for this is their low socio-economic background & rampant illiteracy in their community. They also lack role models of whom they can emulate & imitate. It is sad that most of the brightest students end up getting nowhere near achieving their greatest potential. Some of the bright girls hook up with the not-so-smart boys & end up with a bulging belly. Some of them experience culture shock when they leave for their studies & drop out of matriculation/university. Some of them get caught up in social ills. At the very end, those who do make it are very very few. To address these issues, in 2012, I decided to personally mentor the PMR students. I would meet with them every week to exercise & also talk to them about life & how important education was. I also promised them all sorts of rewards if they did well. One of which was a fully sponsored trip to Kuching if they achieved straight As in PMR. As a result of this mentorship, 3 students achieved 8As in 2012 PMR. And, I took them to Kuching in 2013. In 2013, I also mentored the PMR students but, this time, I decided it was probably more sustainable if the students were taught to mentor their juniors. I roped in the excellent 2012 PMR students to mentor the prospective 2013 PMR students. In 2013, 2 students achieved 8As in PMR. 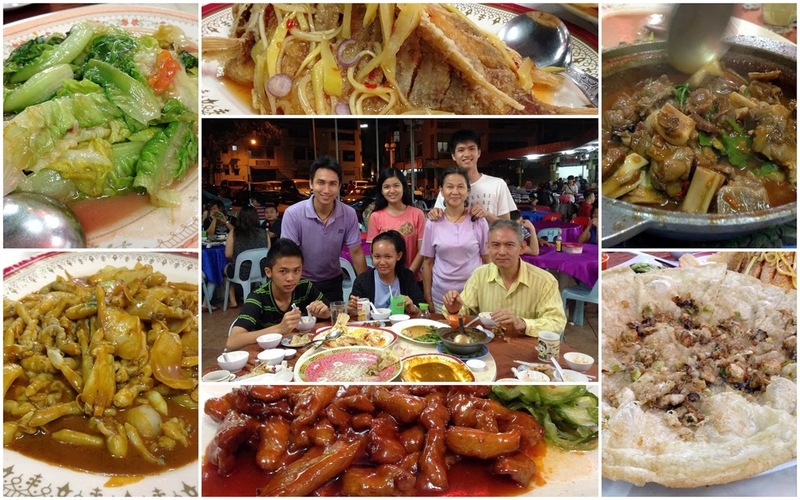 And, this is the blog post about their trip to Kuching in 2014! The boat we took from Sibu to Kuching. 5 hours of being tossed about at sea. Not fun. 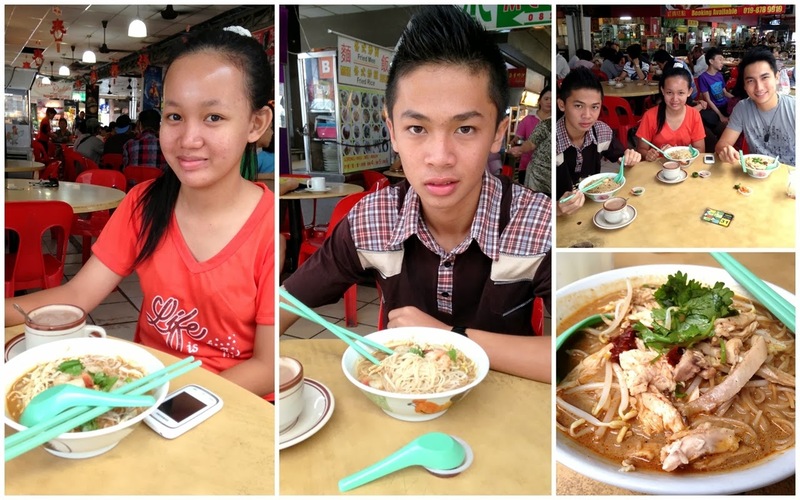 They tried Kuching Laksa!! Yums!!! My favourite is at Mega One Food Court, King's Centre. They also tried Lui Cha. My favourite is at Hakka Lui Cha on Jalan Intan. 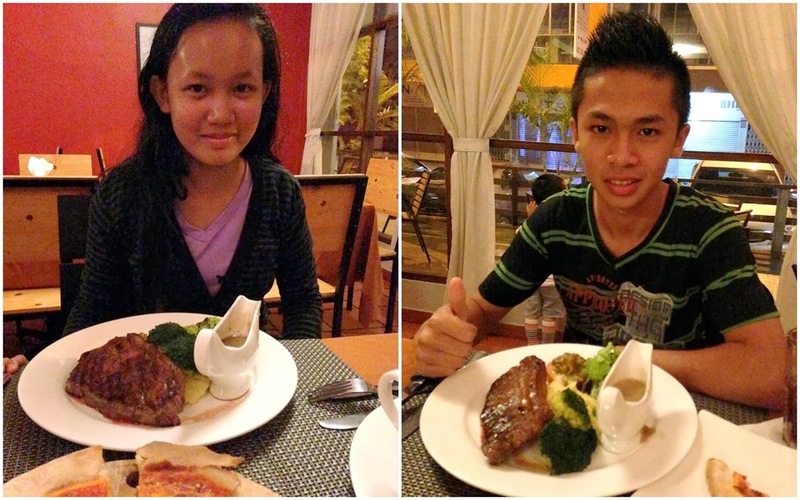 I treated them to their first ever western dinner. I knew the owner of the restaurant so I persuaded him to sit down with us & share his life with my students. My favourite is Big Oven in Bormill Commercial Centre. I wanted my students to be aware of the cultural heritage of Sarawak so I took them to the Sarawak Cultural Village. 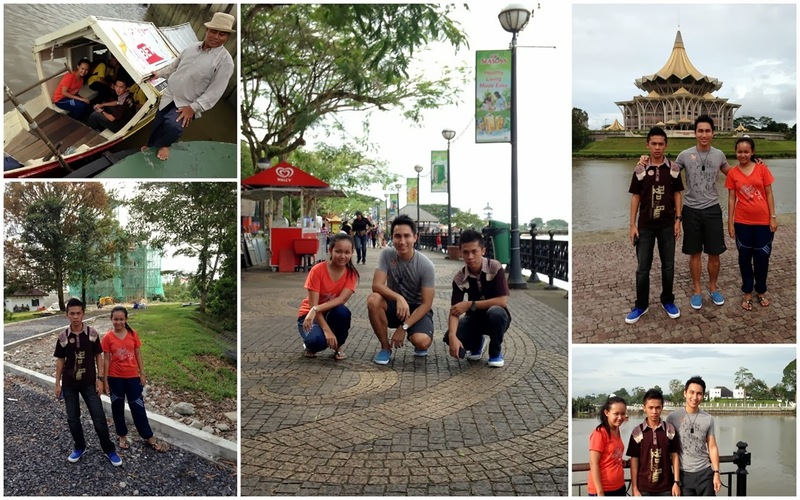 I also took them on a tour of Kuching & we visited all the iconic sites in Kuching. We visited at least 3 malls too. This was their first time at a mall. Makes me wonder if they've been to online malls like Zalora. Took them on a tour of Swinburne where we got connected with the staff there & found out about their scholarship programmes for Sarawak natives. Did you know that they have more scholarships than they do students? If you're a Sarawak native, you can seriously consider Swinburne. One reason I love my parents so much is they decided to contribute to my vision. My parents treated us to 2 dinners & they spoke extensively to my students. Why spend all that time & money on children who have absolutely no ties with me, you ask? I want to show them that the possibilities in their future are greater than what can be imagined within the jungle. I want them to know that I believe in them so much that I am willing to put my money where my mouth is & blow a large chunk of my monthly income on this trip. This was also my chance to expose them to all the best minds I know in Kuching & allow them to be enriched by their stories. This trip is more than a reward. It's a gift that keeps on giving. I made it very clear to them during the trip that they have the greatest potential in their community & also the greatest responsibility. God has blessed them so that they may be a blessing to others. I told them to dedicate their lives to living to their highest potential & becoming successful. Then, I want them to return to their homeland & lead others of their kind to do the same thing. Thus, uplifting a forgotten people via their most talented. To me, this is a small price to pay to make a REAL difference.